Just after we lost power on the night of Hurricane Ike. The country's fourth largest city was plunged into blackness. Outside, the wind raged and trees crashed to the ground. 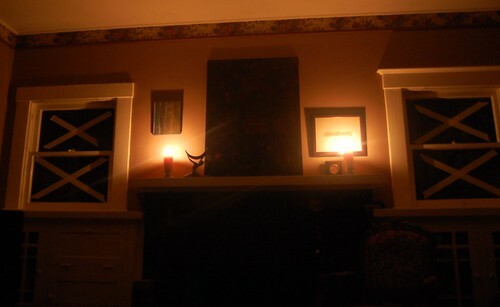 Tim's painting over the fireplace was lost in shadows. I've never known a darker night in Houston.